Before Mainstreet, there were no local, annual, coordinated new works festivals, run by local theatre artists, featuring highly vetted musicals identified by other theatre artists, all coordinated by an artist-owned collective. These Festivals, in the planning stages for several years, and in our dreams for decades, is now up and running. MainStreet Affiliates in five cities have presented, for the first time ever, complete live performance festivals featuring three musicals selected by Mainstreet Evaluations. Theatre professionals in other cities are hearing about it and signing on to open their own Mainstreet Festival. They can see that, though it requires a little work and a small organization, it provides big opportunities and benefits to everyone associated with it. It’s well worth the effort. Increasing the range of possibilities for local development and new works production. 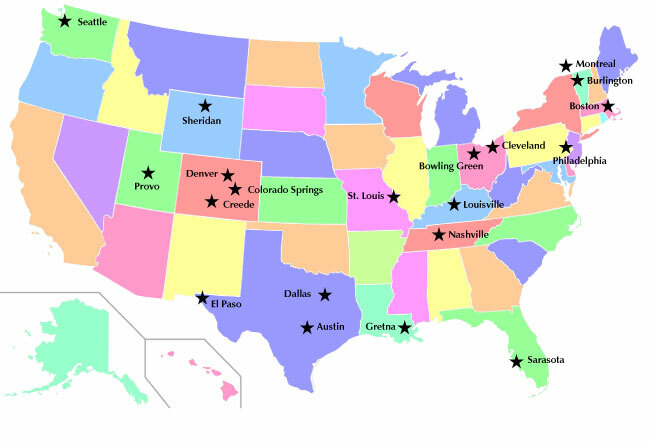 In the planning stage for several years, and in our dreams for decades, MainStreet Affiliates in a growing number of American cities will present annual coordinated three-show Festivals. Each Festival will feature the year’s three MainStreet Award-winning musicals. This project is unprecedented in our cultural history. Never before has an organization put new musicals, prior to their production, into multiple cities in a coordinated program of public concert-readings. Each Festival is independent, supervised by a local MainStreet Affiliate Team. They make all arrangements to prepare and present the season. Brand new opportunities for local producers and investors to “get in” on the ground floor! Cast of SHINE Benefits presented in New Orleans and in Slidell, LA..